Hey Adam, you’ve had a little bit of time for your first podium finish on the wave tour to settle in… how does it feel with a bit of time to reflect and let it sink in? Yeah, it seems like so long ago already! It’s honestly just a dream come true, it’s hard to explain how it feels but I’m just chuffed to bits! Is it also special to earn your first podium in a place where you used to live and spend much of your time training? 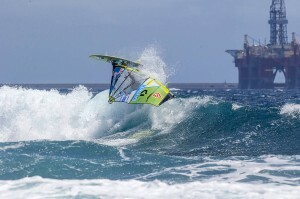 It’s really nice, Tenerife is a really special place for me, it’s shaped how I windsurf today so massively. It’s a place I always wanted to do well at so it’s just awesome to be able to put it together finally. 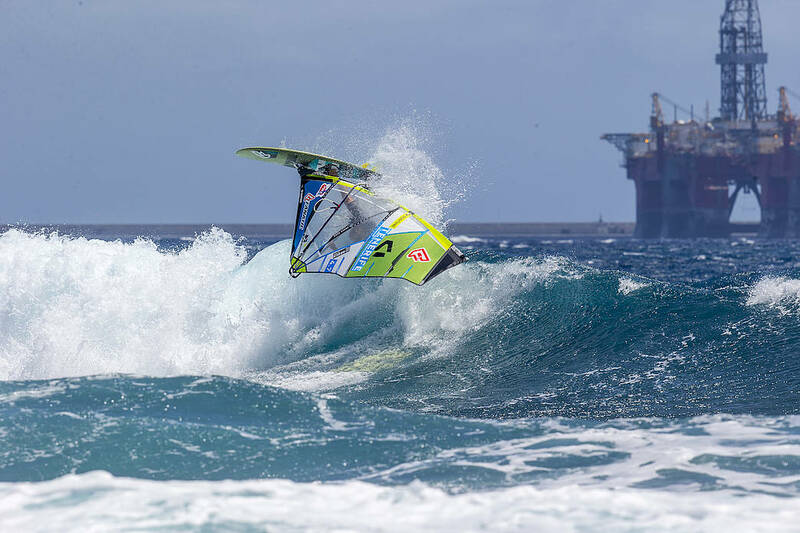 In the semifinal against Ricardo Campello you scored the only 10 point wave of the contest – and came close to posting a perfect wave score heat – and that also turned out to be the highest scoring heat of the contest – 24.88 points – do you think that’s the best heat you’ve sailed to date? That was such a fun heat, it was the tide I normally like when there is a little less water over the reef so the wave bowls up a lot more. It was just one of those heats where I felt like I had all the time in the world. I think every wave I took stood up and just wanted to get whacked. Heat sailing can be so funny sometimes you’re just in that right rhythm and headspace, it was the best place mentally I had for a heat in Tenerife. I’m not sure if it’s the best heat I’ve ever sailed, I guess it must be haha, it definitely felt a lot closer to how I’d freesail there. Having been on a such a high – the conditions in the final had changed a lot compared to your semifinal heat – was that a bit disappointing for you? And then in the double against Jaeger it looked like you just got going a bit late in that heat? Or were just a bit out of sync with the ramps and sets? Ummm that’s a tricky one. I think I’d put so much into that Semi final heat but I was still really up for it. It’s a tricky one, I’d say personally they were pretty much the worst conditions I’ve competed on tour in, however, Victor was killing it so its pretty hard for the judges to stop if he’s racking up points the way he was, he’s just so good especially when its tricky like that. It’s perhaps hard mentally to go from such good conditions to readjust to different ones in such a short time. Last year in an interview with C7 you said that you were trying to sail without expectations… which definitely worked for you last year when you finished 5th overall…. On the back of your best season yet, did you have a particular goal in mind or are you still trying to sail without expectations? I still think it’s very important to not be result based in your goals just because there is so much out of your control. I think that it’s really good to set goals within your sailing and really concentrate on that. That said, this year I felt loads of pressure coming into Pozo after last year. I guess posting some good heats there kinda took the pressure of a bit for Tenerife which helped a lot. From the beach it certainly seems like the level on the tour is at the highest it’s ever been… what do you think? Yeah 100% I think over the last two years or so its just been going mental. This year there were 1st round heats where the sailing was final worthy when I joined the tour 4/5 years ago. Its really, really good to watch on the stream now, every heat is close and its so dynamic and radical. You’ve got 5 weeks now until the final event of the year in Sylt – where you did well last year – what will you be up to between now and then and how will you be preparing for that? I’m just in NW Ireland at the moment chasing a forecast last minute, so good! But I’m back home in Cornwall over the next few weeks, back in the gym and hopefully a bit of sailing too! Thanks, Adam. Congrats again on your first podium and see you in Sylt!